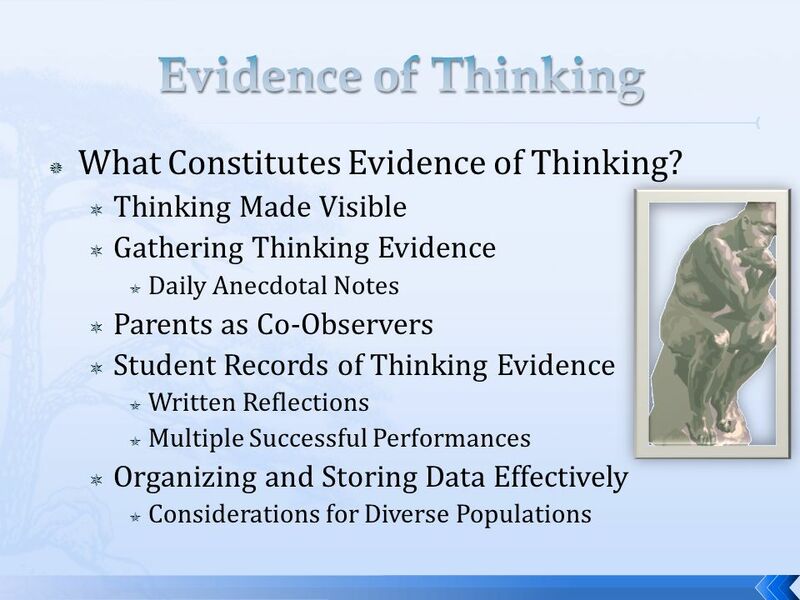 3 What is the Impact of Data and Learning and Teaching? How Should We Organize and Preserve All This Data? How Should we Collect and Evaluate It? 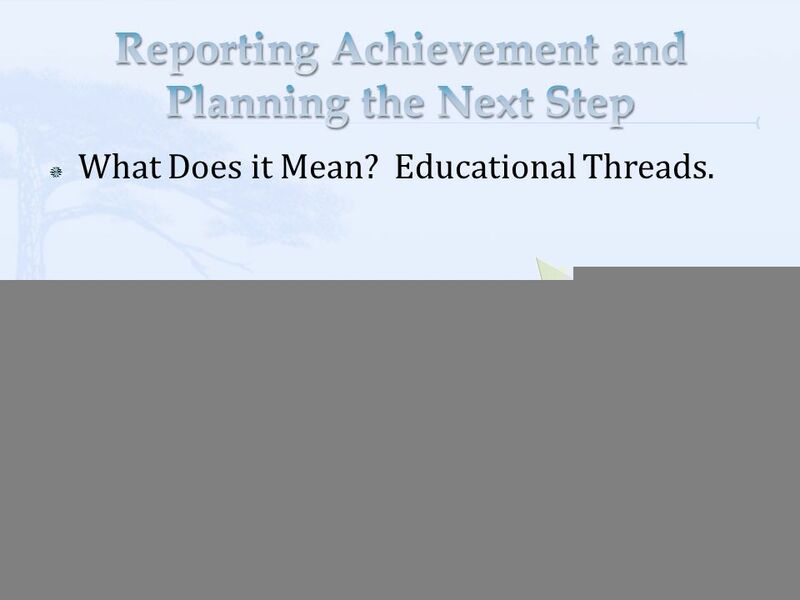 What Assessment Data Should we Collect? 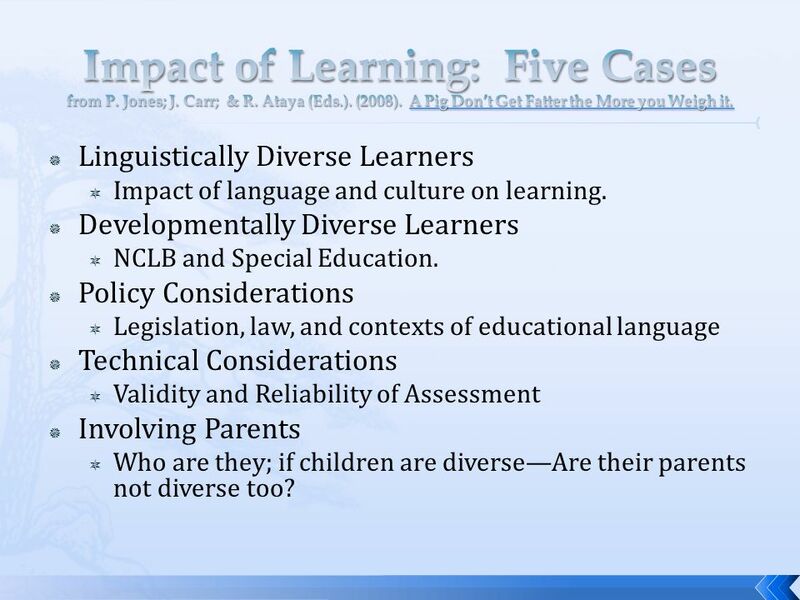 5 Linguistically Diverse Learners Impact of language and culture on learning. Developmentally Diverse Learners NCLB and Special Education. Policy Considerations Legislation, law, and contexts of educational language Technical Considerations Validity and Reliability of Assessment Involving Parents Who are they; if children are diverseAre their parents not diverse too? 8 What Does it Mean? Educational Threads. Download ppt "David M. Callejo Pérez & Sebastían R. Díaz West Virginia University Organizing Student Progress Data." Wynne Harlen. 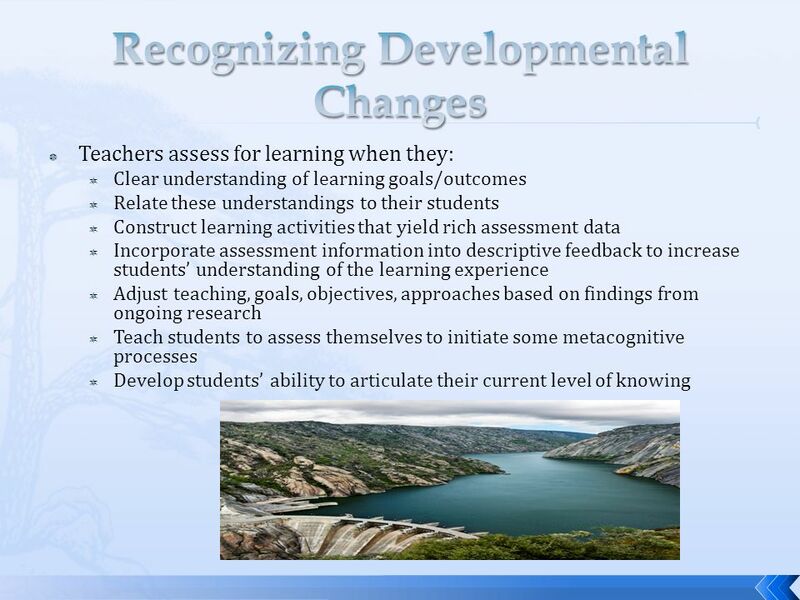 What do you mean by assessment? 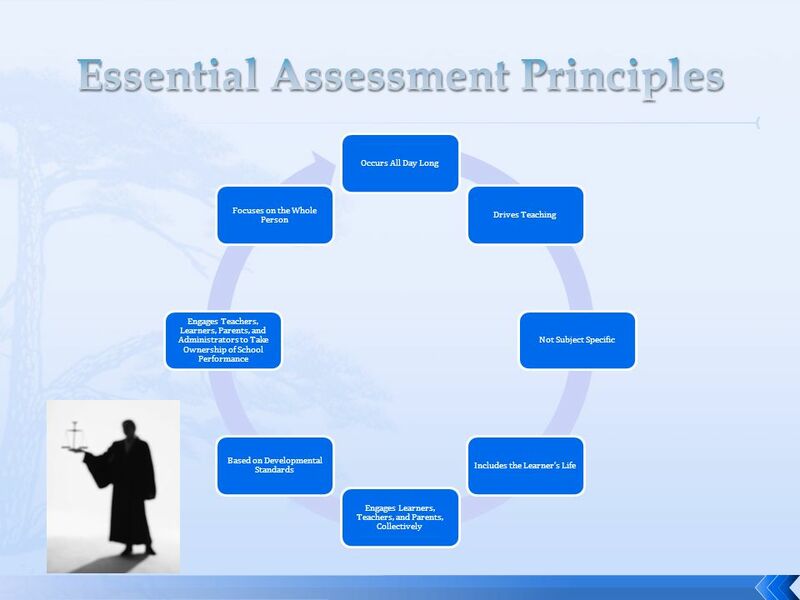 Is there assessment when: 1. A teacher asks pupils questions to find out what ideas they have about a topic. Student Name Student Number ePortfolio Demonstrating my achievement of the NSW Institute of Teachers Graduate Teacher Stage of the Professional Teacher.